The perfect size and shape to naturally define the cheek bone. The unique hairs are designed to pick up and distribute pigment precisely and evenly. The tapered oval head gently blends colour onto the face. New ombr?? 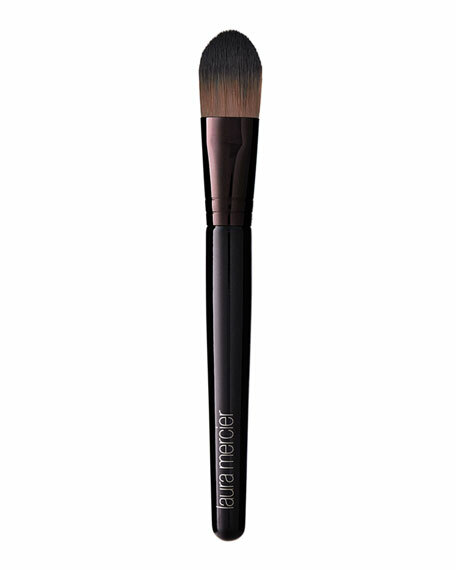 tapered brush picks up precise amounts of product and applies smoothly to diffuse cheek shades seamlessly across the skin. May be used with both powders and liquids. The handle is made of non-endangered wood in a pale ivory finish. Washable. Cruelty-free, synthetic vegan brushes.